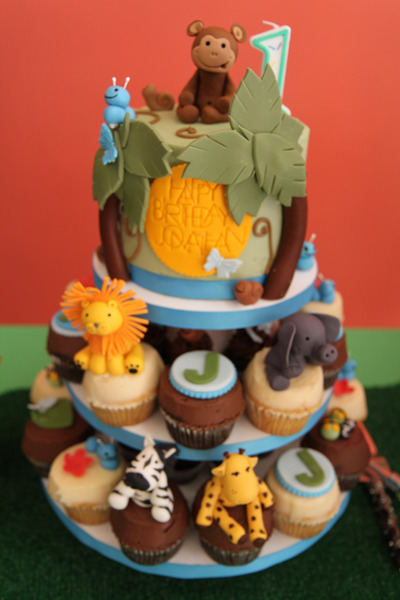 My clients child loved the zoo, so what better way to bring the zoo to him by having a jungle theme birthday. 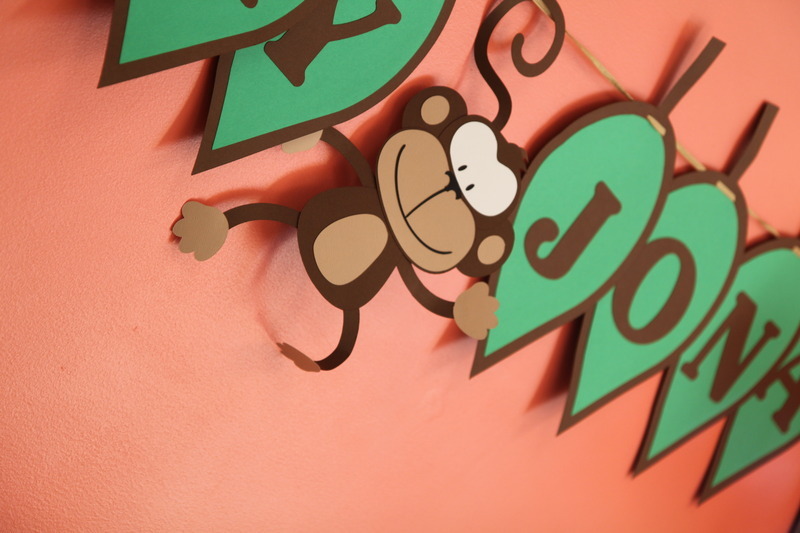 I had such fun getting to use all great color schemes and creating a magical event for the kids. I wanted to bring the outside feel of the jungle inside. 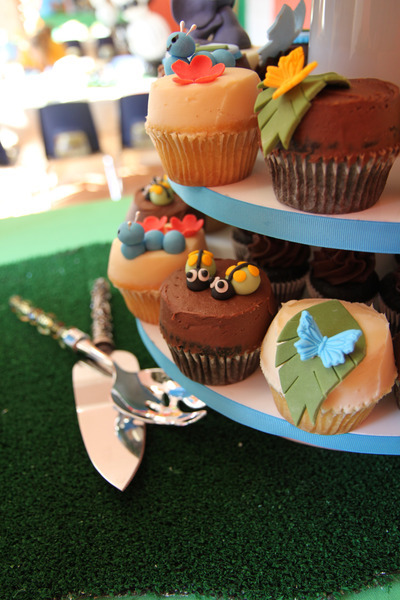 The grass runner for the kids and cake table. 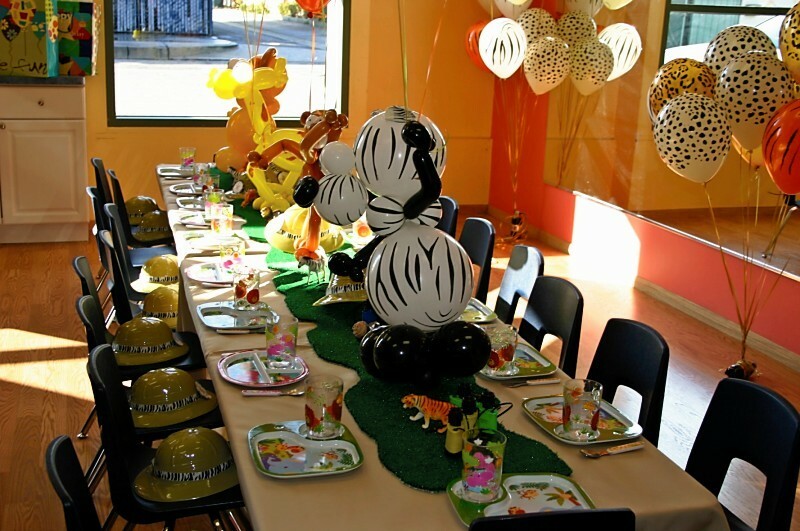 Think outside the box and remember this is a kids party so do things that will make them happy. Wow! Very fun, extravagant party! I love the balloons, the cake, party favor wrappings, the decor, everything actually! 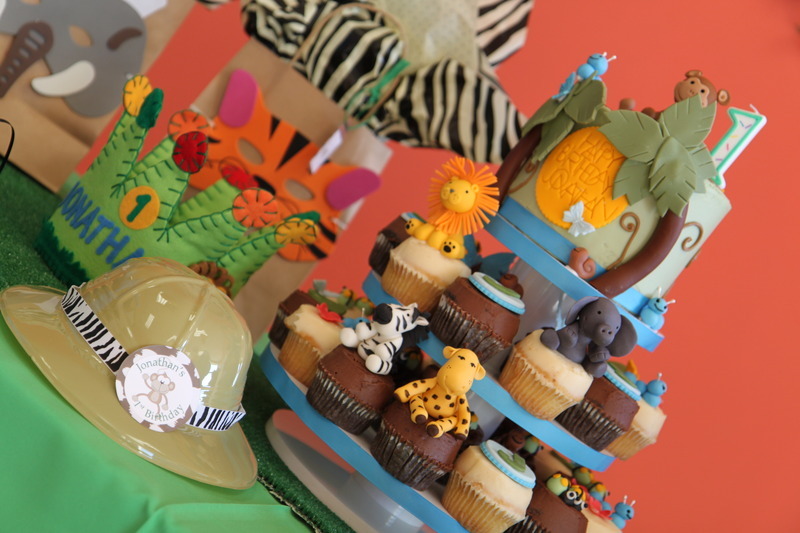 A safari party! 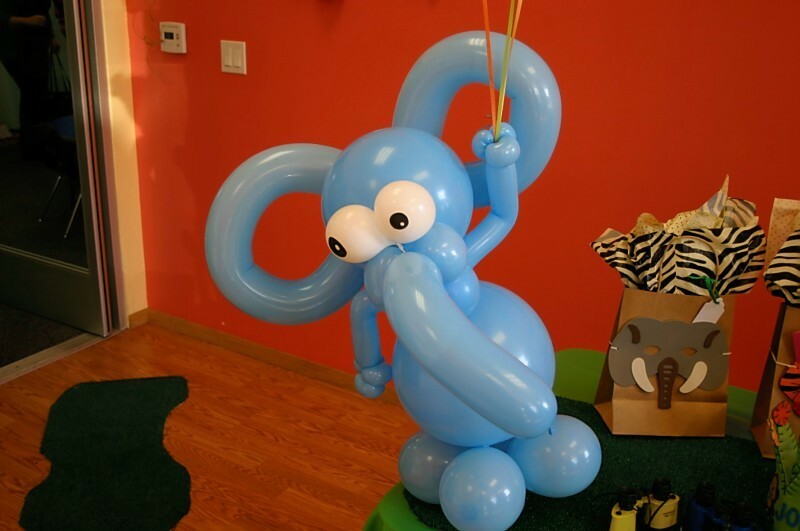 Did you hire a balloon twister for those animal-shaped balloons or did you make them yourself? Very, very cool. I also like the cake. 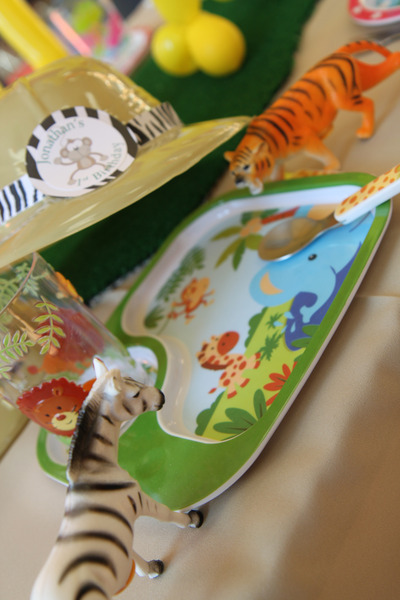 And the table setting looks really fun, too, with the little animal accents. 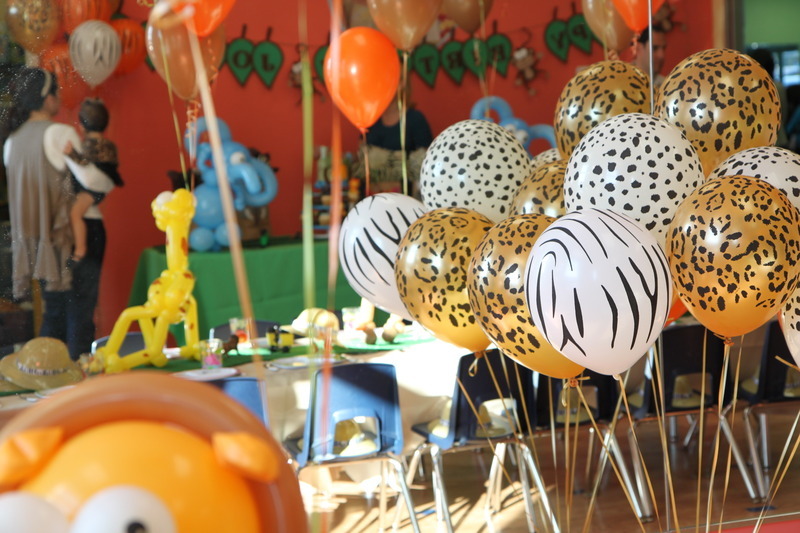 How did you decorate the balloons? Paint? Sharpie? It would need to dry fast…Please help. 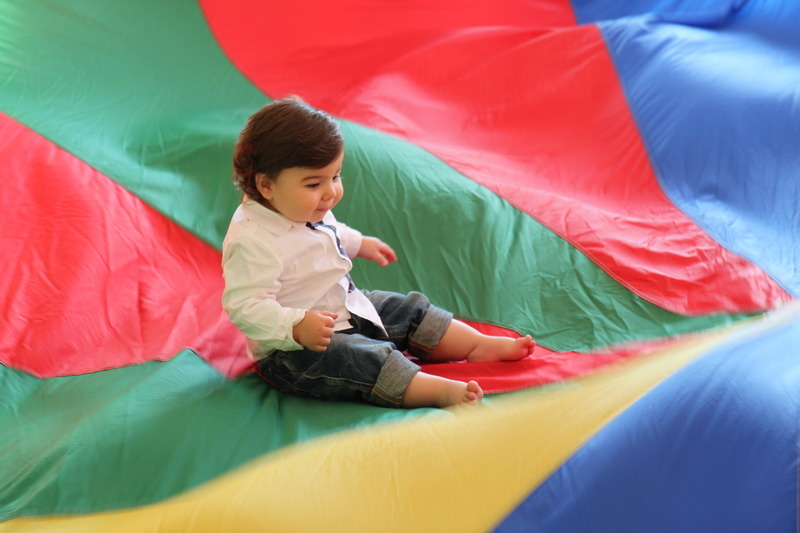 Ser Bella Events owner and creator Serina Mehrabian first fell in love with designing kids events after she threw her own baby shower. Little did she know at that time that her love for creativity and imagination would one day become her career. Her love for detail and originality come from her back ground in Interior Architecture and Design where she graduated in Fine Arts in 2008. Her skills in floor planning, space zoning, color coordinating, and interior design have given her a great understanding of how a party's atmosphere should feel. Serina has developed a true understanding of what kids really want and love, and how to create and experience that not only wows their guests but creates a life time of magical memories.Ser Bella Events brings unforgettable bashes to parents who would love to sit back, relax and have someone else do all the planning.